Wow! Although the Pilot Vanishing Point Stripes fountain pen functions in the same manner all the others, this is a real show stopper. 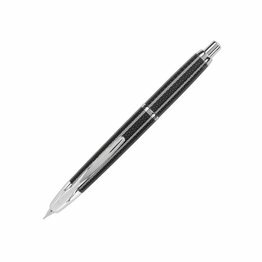 Fully covered in rhodium plating and engraved with stripes, this pen works for anyone's tastes ranging from traditional to contemporary. 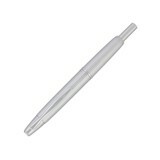 Take this pen into a meeting or sales call and you have a true conversational piece. 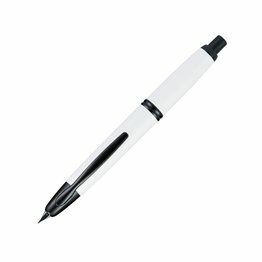 The unique design allows, with just the push of a button, for the nib to retract into the pen body when not in use. 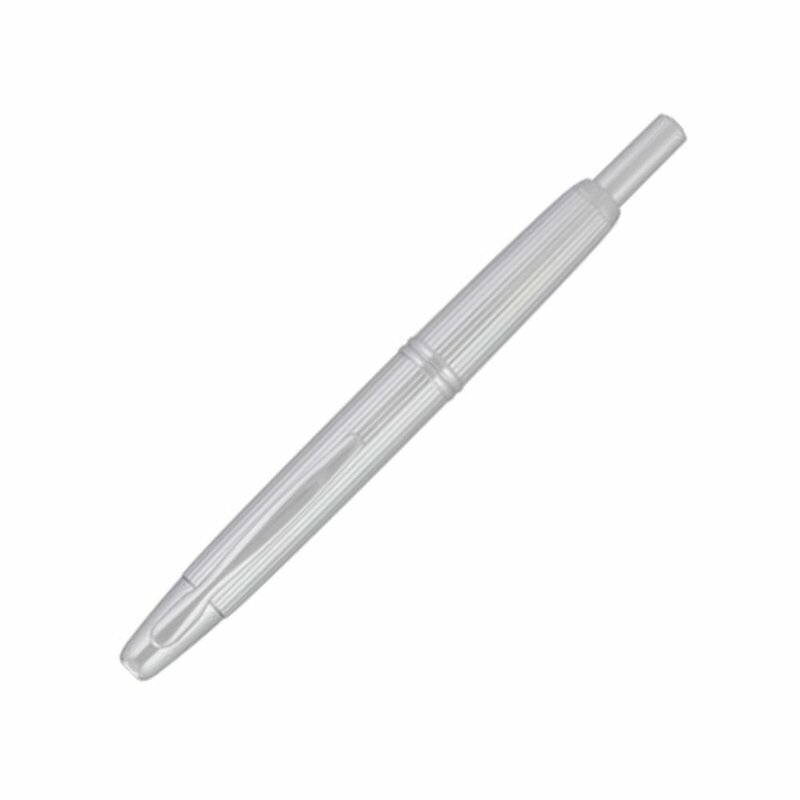 As part of the design, when retracted, this pen does not allow ink to accidentally release ink onto clothes and work surfaces.